After introducing the Patton 2174 and CL1214 devices, Patton Electronics realized that many customers, for issues of both size and security, preferred the smaller form factor devices without the built in 4 port switch which comes standard on the newer 2174 and CL1214’s. 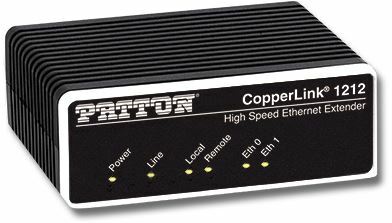 The Patton CL1211 single Ethernet port and the Patton CL1212, dual Ethernet port devices are the same size as the older Patton 2158, 2168, 2172, and and 2173 devices. We carry all Patton Electronics products at deep discounts.